Best Stunt Scooters Reviews If you wish to buy a stunt scooter, but don’t know how to choose from all different ones on the market, where can you start? Reviews Bee has plenty of unbiased information for you, to help make your choice easier. 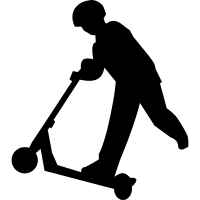 Riding a scooter is a fun activity and the hobby is growing among young people. Some users have started riding scooters when they were small children and are now experienced stunt people on them. 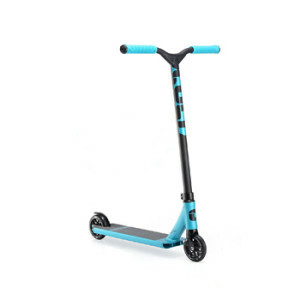 If you are looking to purchase your first scooter or a new one, the following data can help you discern the exact features you are looking for in your stunt scooter. 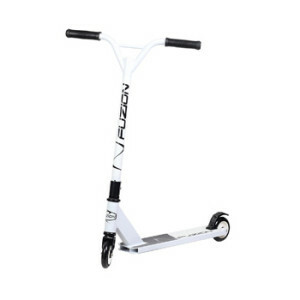 When you want to do smooth moves and tricks on your scooter, it is vital that you have a quality product that is safe as well as effective for your unique wants. 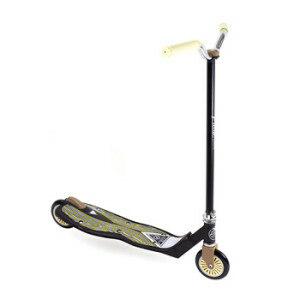 To understand the main function of stunt scooters, it is necessary to compare them with traditional scooters. 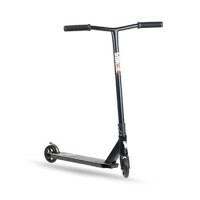 The specific term of “stunt scooter” is referred to a special type of scooter that has been created to do freestyle stunt tricks in skate parks or other similar places. In other words, it is like comparing a BMX bike to a road bike. A traditional scooter is designed for transportation from one point to another in quick and easy way. They were originally designed for children and teenagers. There is an adjustable handlebar that you can set to the appropriate height for each user. 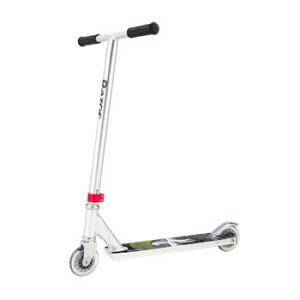 It has a smooth deck, made generally from a wood and glass combination or aluminum, for riding on the pavement or paths. Another main feature of the traditional scooters is the fact that their wheels can be of different sizes, ranging from smaller to larger. The smaller wheels are usually slower and the larger wheels enable you to have more speed. 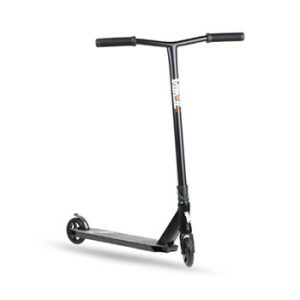 Stunt scooters, on the other hand, are designed specifically to use for trick riding that is normally seen done in skate parks or on streets. 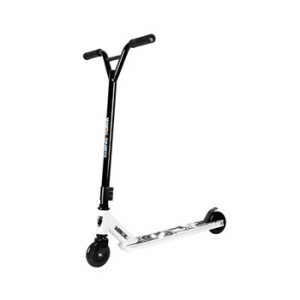 The handlebar on these scooters is not adjustable for fitting to the user, since they are mainly used for landing a jump. The deck of a jump scooter is made from “fully welded aluminum” for increased strength and durability. This material is not only functional, but lightweight as well and can stand extreme skating maneuvers. The smaller wheels on this design is to give the rider short bursts of speed. A standard compression system or SCS, is a compression system which functions according to the needs of a collar clamp on a scooter. The construction is as the following; one edge is attached to the edge of your forks (which can be threadless or threaded) at the same time the other one is attached to the edge of the bars. With this tightening process, the SCS will grip both parts together strongly. Threaded forks offer less durability, since metal is shaved off to create the threads, thus weakening the fork. But, keep in mind that a threaded fork may be less expensive than other options. Unfortunately, a threaded fork may require heavier bars, which adds to the weight of the scooter and is less likely to be easily packed and transported, such as in a suitcase. An internal or inverted compression system, or ICS, is a less expensive forming of the compression system. It can be used with threaded or threadless forks (though a hole needs to be in the forks so that it allows a bolt to pass through it). For instance, a long bolt is passed through the inside of the fork and is screwed into a star nut (which you have to adjust yourself), inside the bars. Though it cannot provide the same tightly-held grip as a standard compression system, it is a good low-cost and economic option. Unlike the SCS and ICS, “HIC” or a hidden internal compression system is designed only for higher end standard models and is a better quality compression system. To use the hidden internal compression, both a threadless headset and threadless forks are needed along with oversized handlebars. Here, the mechanism is a little bit different, because it consists of a small bolt running through the inside of the fork which is attaching to a star nut and a shim is placed over the top of the forks. In the case of an integrated headset compression system (IHC), it is recommended that you use a threadless nut setter, which will allow you to star the nut into a steered hole of the fork in a straightforward way with a proper depth. The installation of the star nut is straight, with almost 15mm of it going through the tube of the fork. It should be installed correctly so it doesn’t slip upwards. Choose the compression system that you believe will be the best for your specific needs and fit your budget. 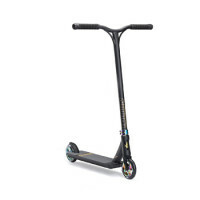 Reviews Bee is offering information about the top ten stunt scooters that come in various sizes, designs and price points. You can ride a scooter of any size, but a properly sized scooter can prevent injuries, making it a smart choice. 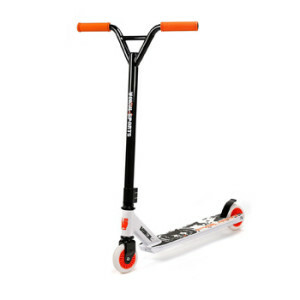 An oversized scooter can be quite dangerous, because it will not be easy to manoeuver and thus, avoid falls. A scooter that is more difficult to ride will not be pleasurable or safe, and can result in accidents. 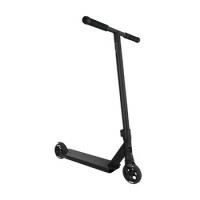 Consider the right size scooter for you personally, so that you can enjoy the extreme stunts you wish to execute without causing any needless damage to your body. A perfectly fitted stunt scooter is worth the cost. Price is always something you need to consider and there is quite a variety when purchasing a stunt scooter. 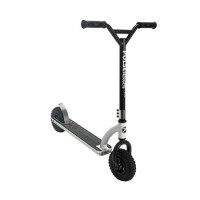 It would be best to determine exactly which scooter might be best for the moves you wish to perform. You don’t need to spend more than you need just to give off a certain “image”. As with most products, the more you spend on a stunt scooter will get you one of higher quality. These tend to be made of more durable materials as well. But, it may also be a good idea to start off with a less expensive one if you are a beginner. You can always upgrade if you choose to do so. It is important that your scooter design meets your taste as well as your needs, so you can be happy after purchasing it. This is entirely a personal preference and often it is best for the user to pick the design that is unique to them. There are many accessories available for additional cost. Updating your scooter or obtaining replacement parts such as scooter stunt bearings, bar ends or wraps, hardware, head sections, grips, forks clamps for compression, grip tapes, LED safety lights, bar extenders, pegs and new bars. We highly recommend that you also invest in some basic safety gear such as a helmet, knee and elbow pads, and specific skate shoes, or at least ones with good tread. The total Reviews Bee rating sums up the overall picture of every product. Reviews Bee works tirelessly to ensure that we are providing the best product recommendations to you and your family. In rating the various stunt scooters available, we strive to give you the best information possible.Our algorithm includes information from both expert and consumer resources. There is no need to spend hours on researches, because Reviews Bee instantly gives all researches and analysis for you and creates a Top list to save your time and money. 2. We Analyze the Data Expert Popularity Score, Expert Ratings, Consumer Popularity Score, Consumer Ratings and Consumer Complaints are inserted into our algorithm in order to calculate our Reviews Bee Score. This score, in turn, is used to rank each stunt scooter in our Top 10 recommendation. The Reviews Bee score is a summary of each of the most important factors indicating the value of a stunt scooter. 3. We Deliver The Best Results By taking each of these essential factors into account, we are able to give each stunt scooter an overall Reviews Bee Score that ranks each product against the others in our Top 10 list. By using a vast array of expert and consumer ratings, reviews, and feedback, Reviews Bee provides you with the most comprehensive analysis of product information available to you. You can make your purchase knowing that the best research was utilized to make your decision. We came up with the popularity score for every stunt scooter provider while analyzing 23 expert sites that are trustworthy. Based on our detailed evaluation, each stunt scooter is assigned an expert popularity score based upon how many times each product is positively mentioned by experts in the industry. By analyzing all the expert review sites our algorithm summed up the average ranking for every stunt scooter in their rankings and that is how we came up with the final score for each stunt scooter brand. We managed to gather more than 7850 reviews from 77 reliable sources and our algorithm calculated the average score for each brand. In order to understand how satisfied those consumers were, we analyzed the total number of reviews. We collected all the reviews and the number of stars people gave for each product. Based on these findings we came up with the average customer rating. This is how we managed to bring out the stunt scooter reviews through which you know how the consumer can rate the stunt scooter. Through this, we show both sides of the product whether it’s positive or negative in nature. This then makes it a negative factor in our algorithm. This as a result makes the best stunt scooters reviews. That is why stunt scooters reviews not only have positive comments mentioned but also the negatives as well.